Ok, so I didn't post yesterday, what I did do was spend most of the day playing Uncharted 4. I'm just really feeling it right now, thanks to Uncharted The Lost Legacy, which I really loved, I really hope they bring us more of Chloe and Nadine in the future. When I went back to finish Uncharted 4 though, I found that my save was gone, from both the console and Plus cloud, which is weird, but I decided to play through it again and I am really enjoying it. I kind of love Nathan Drake hard though, hahaha. 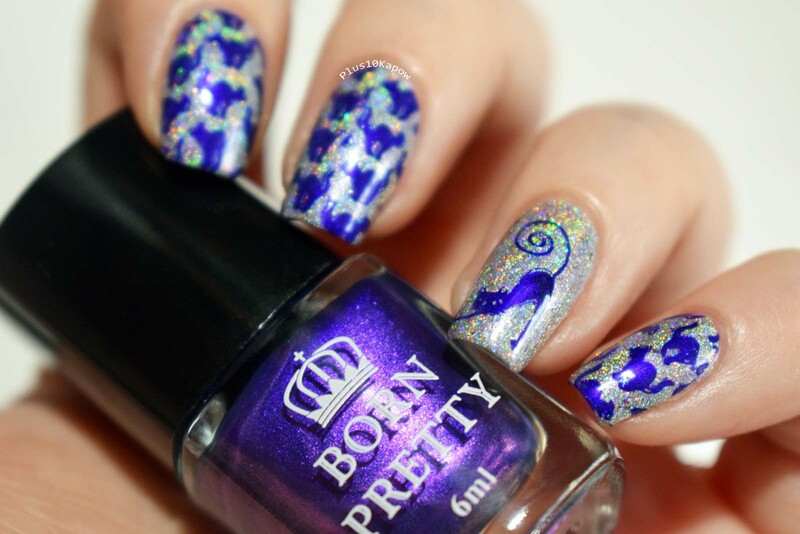 Anyway, I actually managed to do stuff today and I tried out this pretty stamping polish from Born Pretty Store. Using the Uberchic Halloween 03 plate again, I tried to put together a cute Halloween mani here but I'm not sure purple cats over a sparkly base counts as Halloween nail art, but I like it all the same. The polish is pretty much perfect though. 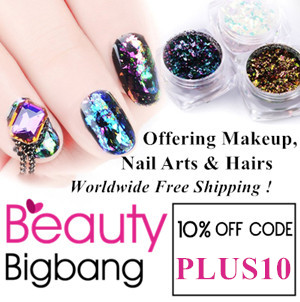 It is highly pigmented and picks up super well. It went from stamper to nail flawlessly and it dried really quickly. Plus, it didn't streak when I added Seche and I went over a few bits a couple of times just to test it. Oh, and when you have added topcoat over the stamping, you see the metallic, shiftiness of it, which is a lovely pink shimmer. 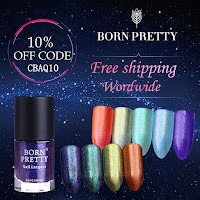 Because it is highly pigmented, make sure you remove it straight from any plates, scrapers and mats straight away to stop the possibility of any staining and always wear a good base coat. 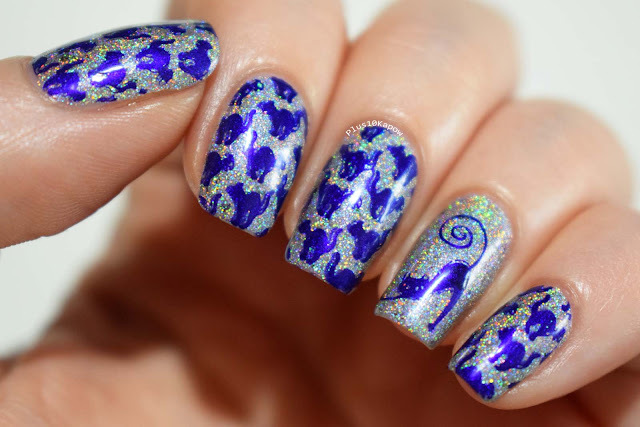 You can find this stamping polish here for £2.29/$2.99, this one is number 31 but there are 24 other colours there to choose from. 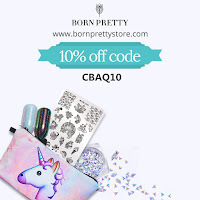 Don't forget that you can use my code CBAQ10 for 10% off all non sale items. The sparkly polish underneath is Danglefoot Nail Polish The A List which was from the Hollywood UK Indie Box, isn't it a beauty?! 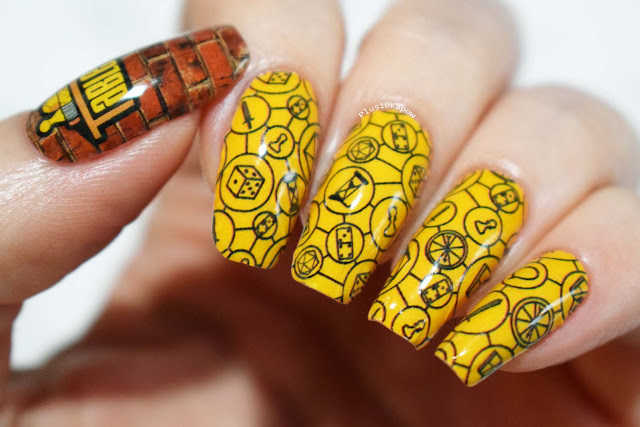 I want to see your Halloween nails, leave your blog link in the comments.